PowerView® Motorisation is a revolutionary new system that automatically moves your shades throughout the day, so you don’t have to. Smart shades that simplify your life. With PowerView® Motorisation the world’s most beautiful window coverings are now the most intelligent. This innovative wireless system controls your Luxaflex® window coverings, allowing you to operate an individual shade or the entire home. Powered by battery or hard wired they can either be controlled by the ergonomic and stylish Pebble remote control which is available in a great range of trend colours or via your smart phone or tablet via the Powerview App. This exciting new technology makes controlling your shades effortless whether you’re within your home or away. All of the Luxaflex products above are available to view in our showroom together with the app and pebble remote for the Powerview Motorisation. Bryant Interior Furnishings are extremely proud to supply and install these products which have a 5 year guarantee. We are Bournemouth’s ‘Select Dealer’ for Luxaflex and can advise customers on any Luxaflex product and have their full library of sample books to view in our store. Powerview Motorisation was recently announced as the winner of the Best Smart Tech Gold Award at the House Beautiful Awards 2017. Learn more about PowerView® here. 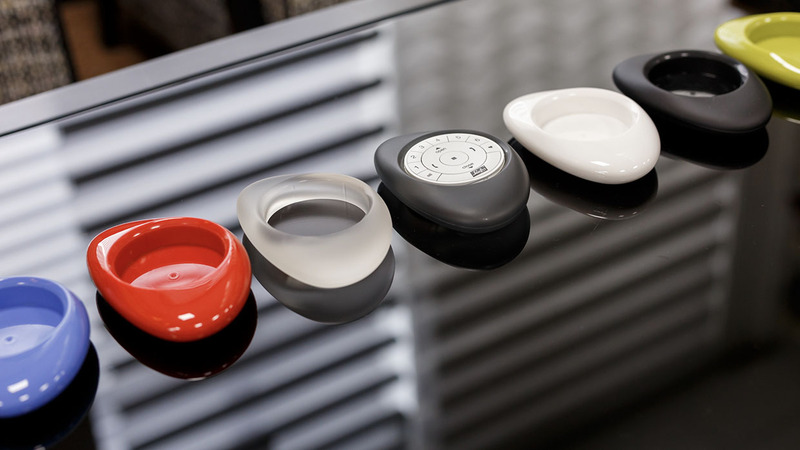 Variety of pebble remote controls for Luxaflex blinds. Choose your own colour to match your décor. 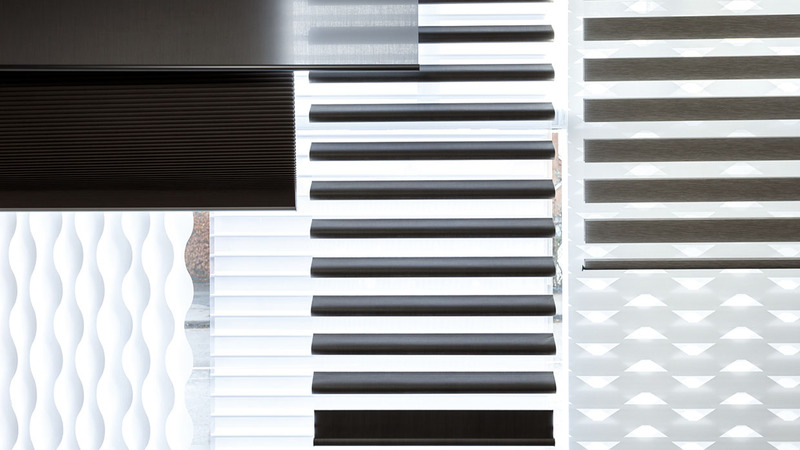 Extensive selection of contemporary blinds. Visit our showroom for colours and designs. Luxaflex, Silent Gliss and Rol-lite.